I love Stevie Nick's music. This year for my birthday, my hubby took me to a Fleetwood Mac concert and it was fantastic. I really wanted a t-shirt, but did not want them as much as they cost!!! Outside, t-shirts were being sold for $10. Well, of course, I thought even though they aren't the official ones it would be fine. Not so...didn't fit right at all, back graphic was on to one side. So I never wore it. Yesterday, while cleaning out my closet and thinking to donate the t-shirt to a charity... the thought "pillow" popped into my mind. I had seen a pillow on one of the AEDM posts so that is probably why it popped into my thoughts so easily. So today, I cut up the shirt, stuffed a pillow form I had into it, and now I have a reminder of a wonderful time where I can see it all the time and not hidden away in a closet. What a great way to make use of something not-so-great and honor the memory!!! I love FM! and the pillow turned out soooooo beautiful!!! Great idea and wonderful, fun pillow. Now you can enjoy it even more often than if you had worn the t-shirt. Wonderful! What a creative way to keep and showcase something you love! this is AWESOME! Glad to see that you salvaged your shirt for all to see! 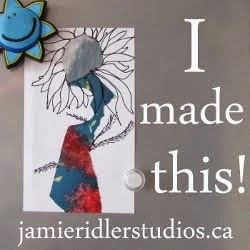 How creative you were! I love that you made it into a pillow. Well done! 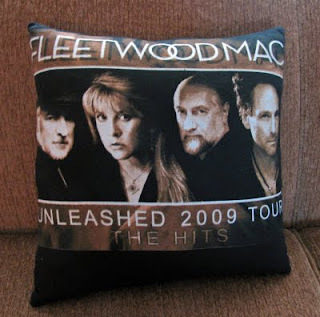 What a fantastic idea...love fleetwood, love pillows! Well done! What a creative idea !